Say it softly and it’s almost like praying. The sound of music… indeed. I don’t know what to make of Mr. Harris. He’s a vapor. A cipher. An enigma. He simply fails to register with me. I bought his first album, ‘I Created Disco’ because I had heard good things and thought; perhaps, this signaled the new direction of dance music. It was a tad disappointing. It felt slight, under-cooked and cribbed (mainly from the early 1980’s or the ‘haties’, as I like to call them). With that in mind, I assumed nothing would come of Mr. Harris and his dance floor aspirations. The man is on a wave of success. 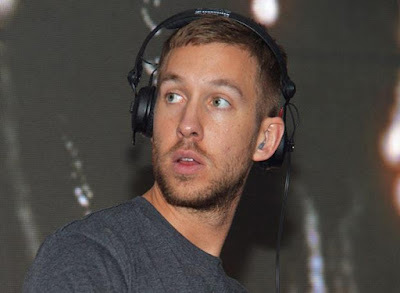 Yes, still churning out slight, under-cooked, and cribbed material, but somewhere between his first and second album, the stars aligned and Calvin became a Top 40 ‘It’ boy. The mad thing is: I keep buying his singles. They are catchy. He has a knack for picking just the right collaborators. And his stuff? It does sound good on the radio. Take his latest soon-to-be Top 40 hit, ‘How Deep Is Your Love’. It’s infectious; an ear worm thick with hooks and modern day pop smarts. To be honest, upon first listen, I hated it (a reaction that is pretty consistent when I initially hear any of his songs), but with repeated listens, it grew on me until the morning came when I woke up and it was the song that accompanied my bed-fogged brain to the bathroom. As I stood before the mirror, toothbrush tucked in cheek, it played over and over again in my dream-mulled head. Sometimes, I think I end up purchasing Calvin’s stuff simply because there is nothing out there more of interest. He’s my go to artist for fluffy filler. Okay, on the plus side, ‘How Deep’ has some interesting lyrics that frequently don’t quite make sense, but that is, in fact, what makes them interesting. The vocals by Ina Wroldsen, from the trio Disciples, upon first listen, struck me as most annoying. But, hey, that changed and now it is in heavy rotation on my car stereo. Will it also find its way into heavy rotation on the airwaves? Well, they are playing it quite a bit on our local gay radio station, Pride 96.7. In fact, that is where I first heard it. So, there is hope that it will break through to a wider audience. 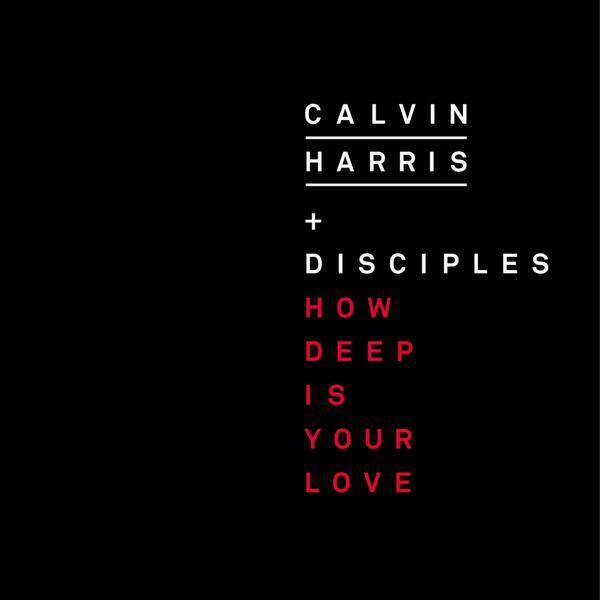 ‘How Deep Is Your Love’ is currently residing at #69 in its third week in the Top 100, having previously peaked at #60. And, yeah, The Bee Gees, blah, blah, blah.